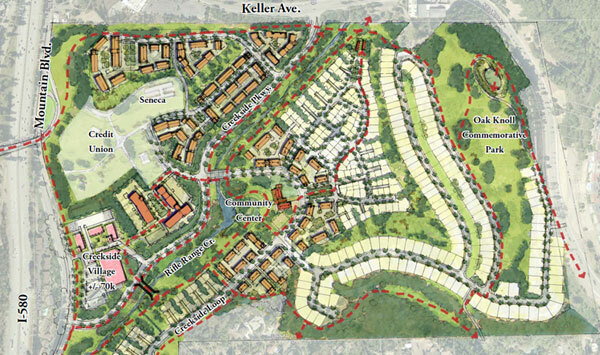 SunCal is one of the largest real estate development companies in the U.S. specializing in large-scale mixed-use master-planned communities. With over eight decades of experience and 50 current communities across the nation, SunCal is the leading residential, mixed use and repurposed land developer in the country. The company's commitment to creating community is what has led landowners to continually trust SunCal to plan and develop their most valued projects. 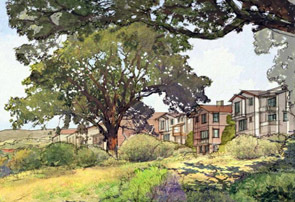 Each SunCal community is designed to emphasize quality of life, neighborliness, and recreational opportunities. 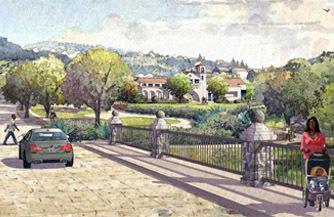 Through smart planning, community involvement and a respect for the natural environment, SunCal has managed some of the most successful large-scale developments throughout the U.S. From the northern coast of the Shenandoah River to the Southern beaches of California, SunCal builds communities that are what home should feel like. Hart Howerton is a group of planners, architects, landscape architects and interior designers headquartered in New York and San Francisco, with a network of regional offices throughout the United States and internationally. Our practice is Designing Complete Environments™—exceptional buildings, communities and places—in special situations, where a unique historic or natural environment requires an especially thoughtful and innovative solution. Our proven value creation strategies draw from over 40 years of experience in more than 30 countries, and through all stages of real estate cycles.